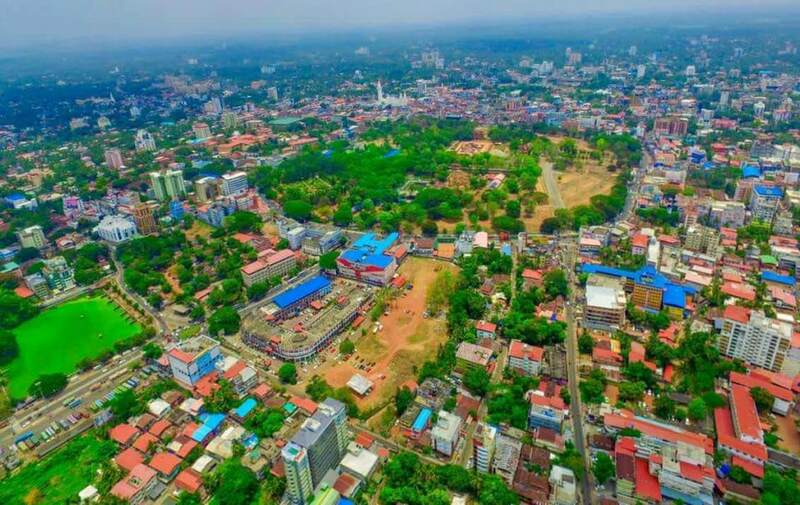 Thrissur is a city in the south Indian state of Kerala. It's known for sacred sites and colourful festivals. In the center is Vadakkumnathan Temple, dedicated to Lord Shiva and adorned with murals. The ornate, Indo-Gothic Our Lady of Dolours Basilica is nearby. To the north, Thiruvambady Temple is home to several elephants. Sakthan Thampuran Palace houses an archaeology museum with bronze statues and ancient coins. Kerala Kalamandalam is the premier public institution in India imparting training in and conducting performances of the classical arts of Kerala viz. Kathakali, Kutiyattam, Mohiniyaattam, Thullal and Panchavaadyam. Founded in 1930 by eminent poet Padmabhooshan Vallathol Narayana Menon along the banks of the river Nila in the Cheruthuruthy village of Thrissur District, Kalamandalam is an immortal name in the cultural map of the world. Training in art-disciplines at Kalamandalam essentially adheres to the ancient Gurukula sampradaya (The traditional model of education which calls for a deep bond between the teacher and the student). Kalamandalam is strictly a residential centre of learning. Veteran teachers and talented students are its inestimable wealth. 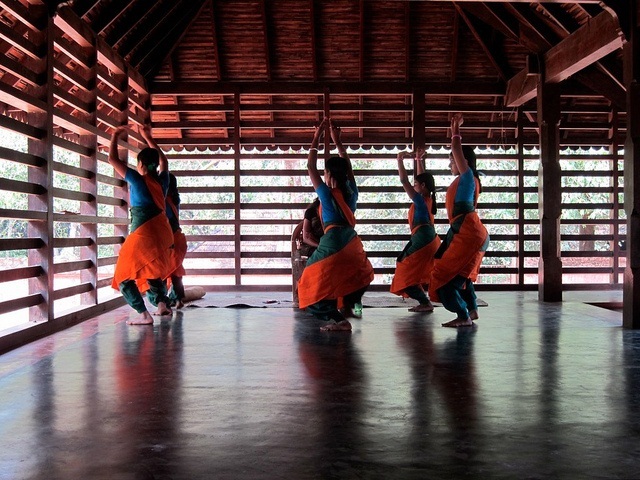 For art-recitals, demonstrations and workshops held in Kalamandalam and outside, artist-teachers and students participate. Kalamandalam Kathakali, Kutiyattam, Mohiniyaatam and Thullal Troupes have travelled widely in India and abroad for programs, lecture-demonstrations and workshops. They have represented India in many an international dance and theatre festival. 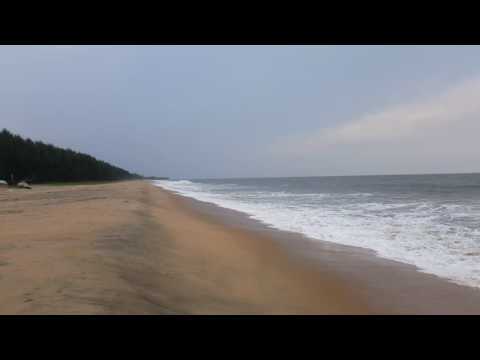 Chavakkad Beach is a beach in Chavakkad Municipality of Thrissur District in Kerala State. It lies on the coast of Arabian Sea and attracts domestic tourists and local people. 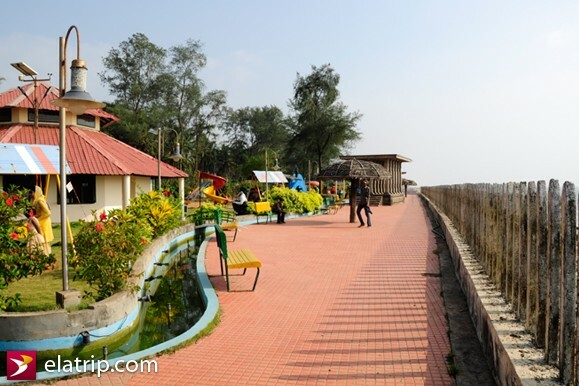 Easy to access, the Chavakkad beach is famous for the Azhimukam, the confluence of river and sea. On the other side of the beach is the Ramachapadam, a vast farmland of the Ayurvedic herb, Ramacham. 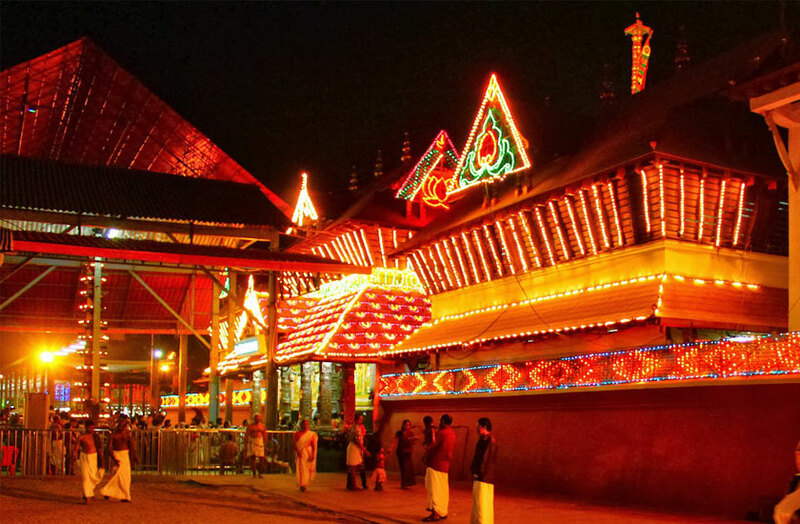 Guruvayur Sri Krishna Temple is a Hindu temple dedicated to the god Krishna (an avatar of the god Vishnu), located in the town of Guruvayur in Kerala, India. It is one of the most important places of worship for Hindus of Kerala and is often referred to as "Bhuloka Vaikunta" which translates to the "Holy Abode of Vishnu on Earth".The presiding deity of the Guruvayur Temple is Vishnu, worshipped in the form of Krishna. The central icon is a four-armed standing Krishna carrying the conch Panchajanya, the discus Sudarshana Chakra, the mace Kaumodaki and a lotus with a Holy basil garland. This image represents the majestic form of Vishnu as revealed to Krishna's parents Vasudeva and Devaki around the time of Krishna's birth; hence Guruvayur is also known as "Dwarka of South India". He is currently worshipped according to routines laid down by Adi Shankara and later written formally in the Tantric way, the inter-religious spiritual movement that arose in medieval India, by Cennas Narayanan Nambudiri (born in 1427). The Cennas Nambudiris are the hereditary tantris (high priest) of the Guruvayur Temple. The temple (puja) routines are strictly followed. The tantri is available full-time at the Temple to ensure this. The Melsanti (Chief Priest) enters the sanctum sanctorum in the morning and does not drink anything up to the completion of "noon worships" at 12:30 PM. Non-Hindus are not allowed in the temple. The Devaswom maintains a unique elephant sanctuary, the only one of its kind in the World. It has 56 elephants now. These jumbos are the offerings of the devotees to the Lord. A large number of pilgrims and tourists visit this fascinating spot every day. In this vast compound, there are road facilities for pilgrims and tourists to go around. The present elephant sanctuary is in Punnathur Kotta about 3 km north of Guruvayur temple. Punnathur Kotta is the ancient palace of the Punnathur Rajas, now in the possession of the Devaswom. There is also an ancient temple where Lord Siva and Bhagavathy are worshipped. It is a 10-acre compound which Devaswom purchased in 1975, which was under receiver rule of Trichur sub-court. Till that time elephants were kept in this Kovilakam compound (present Sreevalsam) to the south of the temple. Athirappilly Falls is situated on the border of Athirappilly panchayath, Chalakudy Taluk of Thrissur district and Ayyampuzha panchayath, Aluva Taluk of Ernakulam district, Kerala on the southwest coast of India. Located on the west-flowing Chalakudy River near the Vazhachal Forest Division and the Sholayar ranges, this 24-metre (80 ft) waterfall and the nearby Vazhachal Falls are popular tourist destinations. There is another waterfall on the way from Athirappilly to Vazhachal Falls, in close proximity to the road and is locally called “Charpa Falls”. 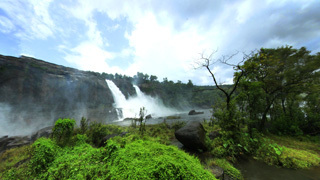 Athirappilly Falls is the largest waterfall in Kerala and is nicknamed "The Niagara of India". Snehatheeram Beach or Love Shore is a beach in Thalikulam of Thrissur District in the Kerala State of India. It lies on the coast of Arabian Sea and attracts domestic tourists in every season. The beach was selected as the best beach tourism destination by the Department of Tourism (Kerala) during the year 2010. The beach is maintained by the Department of Tourism (Kerala). 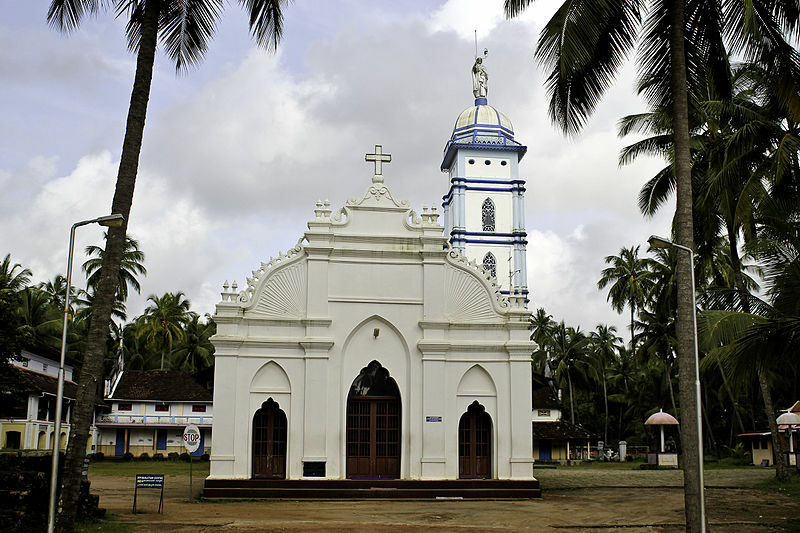 St. Thomas Syro-Malabar Catholic Church, Palayur is located at Palayur (also spelt Palayoor), in Thrissur district in Kerala on the west coast of India. According to tradition, it was established in 52 AD by St Thomas, one of the twelve apostles of Jesus Christ. It is the oldest church in India and is called an Apostolic Church credited to the Apostolate of St. Thomas who preached and also started conversion of people to Christianity here. It was part of the seven churches that he established in India; the other six churches were established at Cranganore, Kokkamangalam, Kottakkavu, Kollam, Niranam, and Chayal (Nilackal). The original small Church structure has been retained at the oldest site. But substantial improvements around it were carried out during the 17th century by Reverend Fenichi, as necessary, without sacrificing the main sanctity of the place. 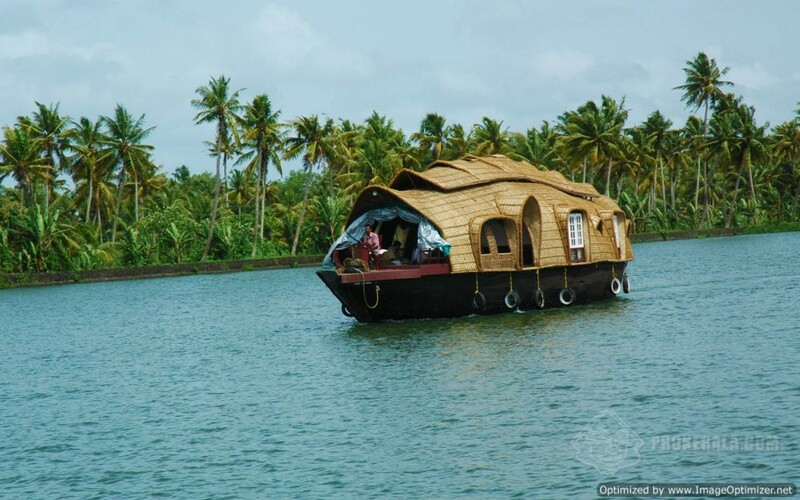 Houseboats operate cruises in the backwater of Trichur, Kerala. The areas covered are Chettuva lake, Canoli Kanal, Ennammavu Kayal, Kandassankadavu and Triprayar. These regions despite being a part of the national waterways are yet relatively unexplored and hence offer a calm exclusive backwaters experience. On the cruise, you will pass through rural areas and will be able to spot local fishermen fishing by indigenous methods and if you are lucky, even buy some fresh catch. You will also come across regions that produce coir and see workers working on coir products. All this from the cosy comfort of the sundeck of our houseboat. Kathakali is the most popular traditional dance form of Kerala. It is an aesthetic blend of dance, music and acting. The kathakali music follows the traditional sopana sangeet of Kerala. This is performed mostly in evenings. This art form dramatizes stories, adapted from the epics of India. Researching the origin of this art form, it is learnt that it has evolved from many social and religious theatrical forms which existed in the southern part of India in ancient times. The ritual performing arts of Kerala such as Chakiarkoothu, Koodiyattom, Krishnanattam and Ramanattam had a direct influence on Kathakali. As a stylized art form, it has a perfect combination of abhinaya characteristics such as angika, aharya, vachika, satvika, nritya and natya. Typically a Kathakali performance commences with Kelikottu, which calls the attention of the audience and it is followed by todayam, a devotional performance. Purappadu, a pure nritta piece comes as a sequel to this. After Melappada and Tiranokku, the play actually begins. 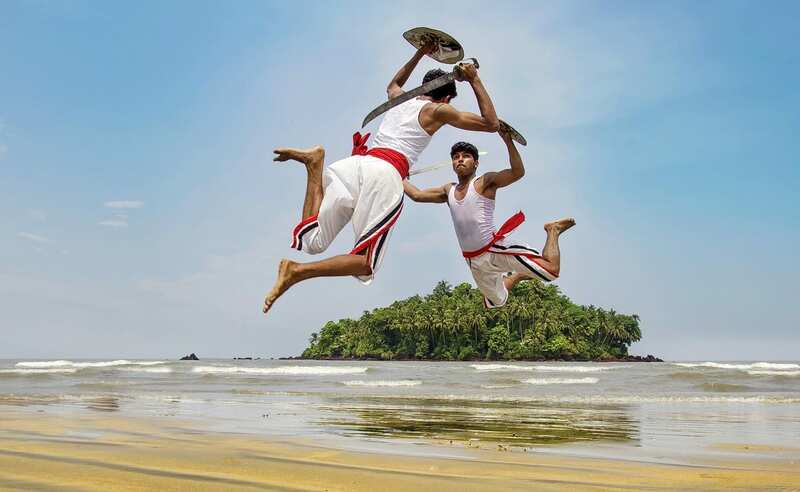 Kalaripayattu is a martial art, which has its origin from Kerala state of South India, particularly in Northern Malabar region of Kerala. It is acknowledged across the world as a pride of Kerala. Origin of this art form gives credit to the ancestry of Bodhi Dharma, an Indian Buddhist monk and Kalaripayattu master. The training of this art form begins with an oil massage to the entire body. In this art form, we can find feats such as Chattom (jumping), ottam (running) and marichil (somersault). In this performance, we can also find the usage of weapons such as swords, daggers, spears, maces, and bows and arrows. We can discover a perfect and aesthetic coordination between mind and body in this art form. 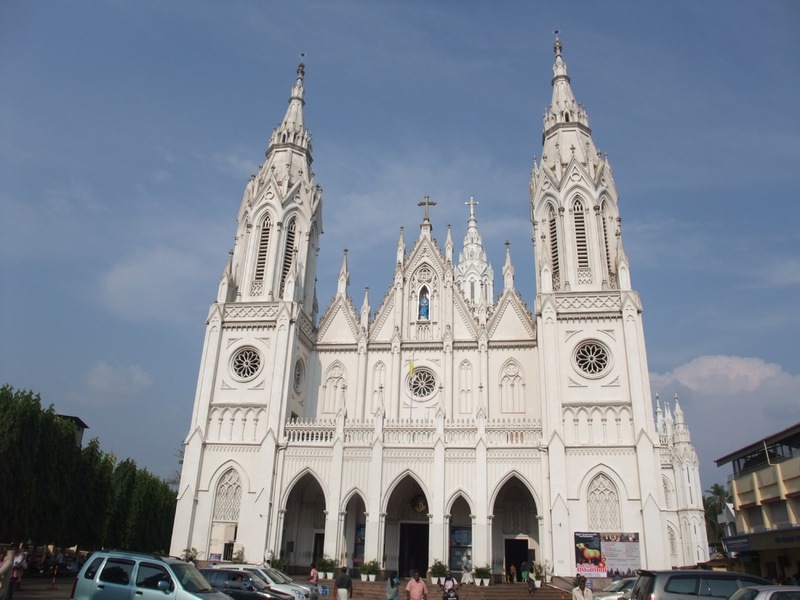 This is well known minor basilica of the Syro-Malabar Catholic church in Thrissur city of Kerala. Originally, the church buildings were established in 1814. It was Thrissur’s first Christian church inside the fort gates and a centre of St.Thomas Christians. A new building was constructed in 1929 and renamed as Mart Mariam Big Church and is now the cathedral of the Chaldean Syrian Church. It is presently known as Puthanpally (New Church), because of the new construction. It is known as the third tallest church in Asia. The fame of this church is mainly because of its Gothic style of architecture. Poomala Dam is an irrigation purpose dam and a tourist spot situated in Mulankunnathukavu Panchayath under Puzhakkal block in Thrissur, Kerala State of India The dam is situated 94.50 meters above mean sea level. To its north lies another dam, Pathazhakundu, which presently is oriented only for irrigation.